Our supporters have always been the backbone of our organisation. Our supporters’ sense of responsibility and spirit of giving has long been credited with shaping the fabric of our society by creating better lives for Jewish people for more than 170 years. 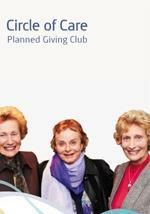 Circle of Care is a social group for longstanding supporters of Jewish Care. It was established to honour and acknowledge our treasured supporters and the values of care which they so deeply cherish. Through events held throughout the year, Circle of Care members come together to deepen their connection with Jewish Care and to meet likeminded friends. Circle of Care also produces a quarterly newsletter called “My Circle”, which provides regular updates on new programs and developments across the organisation.